Cisdem DuplicateFinder offers a accurate way to find and remove duplicates. Providing smart scanning algorithm, it scans both computer drives and external devices, as well as apps like iPhoto and iTunes, then removes duplicates to speed up your Mac. - Support to find similar images. 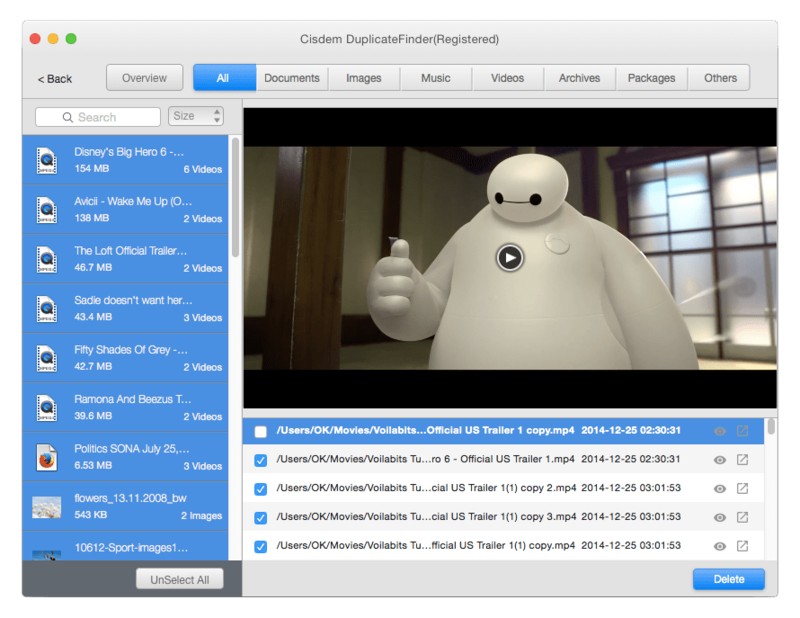 Except duplicate files, Cisdem Mac duplicate finder supports to find and delete similar images in internal or external hard drives. - Smartly select the files need to delete. Smartly select the files according to the name to delete, also you could choose to select the newest, oldest or unselect all to make you control the files you want to delete. - Three view modes to preview the found files. Compare duplicates or similar images in list, thumbnail or detail information to decide which file needs to delete. - Optimized preference. Support to ignore system Hidden files and folders and set the image similarity to find exact similar images.